I hope everyone's getting ready for their Christmas holiday. 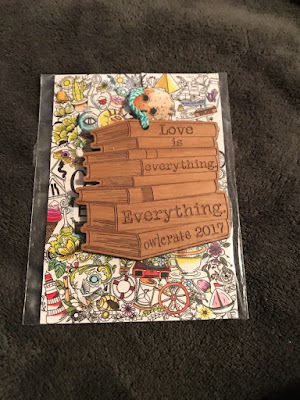 All I have left to do is wrap gifts, but since I'm completely horrid at wrapping, I keep putting it off so I thought it was the perfect time to review this months Owl Crate. The theme this month was "Seize the Day", so let's get right into it! 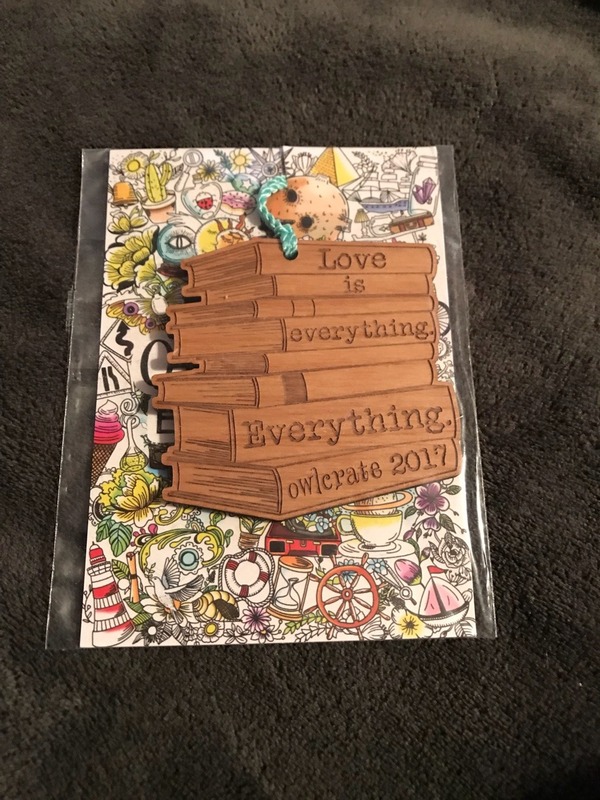 The first thing I pulled out was this cute wooden ornament from Juniper & Ivy Designs based off the book Everything, Everything by Nicola Yoon. This was so detailed and pretty, I automatically rushed to put it on my tree where everyone could see it. I love a candle. It's so weird, I never used to like them, but now I have stacks of candles that I change throughout the year depending on scents. This one by Novelly Yours is definitely going to get heavy rotation. 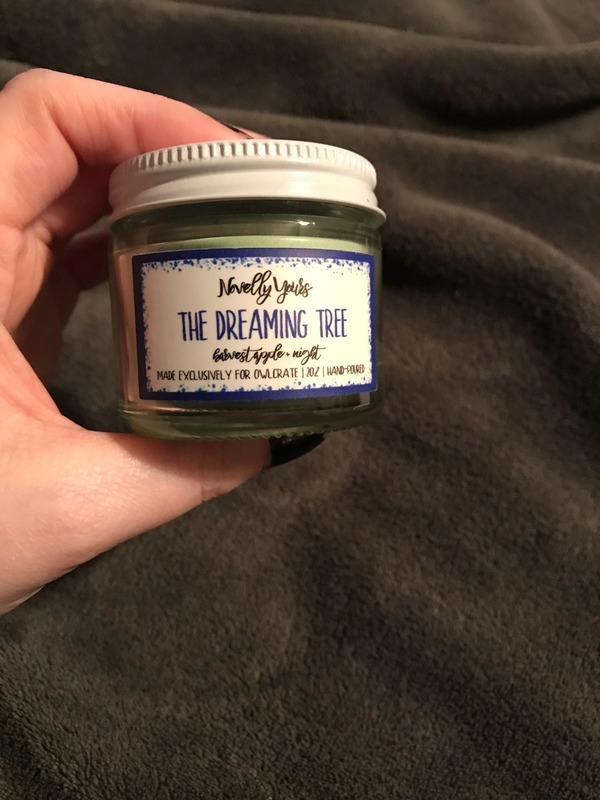 It has such a lovely apple scent which is one of my favorites. It said this candle was inspired by The Names They Gave Us by Emery Lord, and I've never read that but based on the candle alone, I feel like I need to. Just like a candle, I love myself a bookmark. I feel like they're one of those things you just can't have enough of, and this double sided one by Little Inklings Designs is perfect to add to my collection. 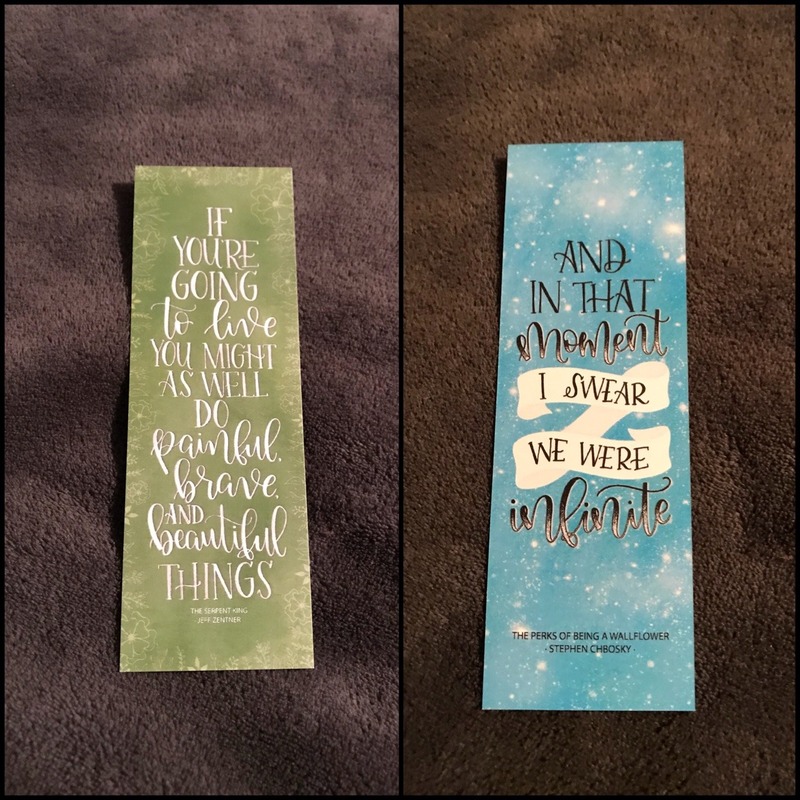 One side of the bookmark has a quote from The Serpent King (another I've never read, but which is going onto my Reading list) and the opposite is from The Perks of Being a Wallflower. 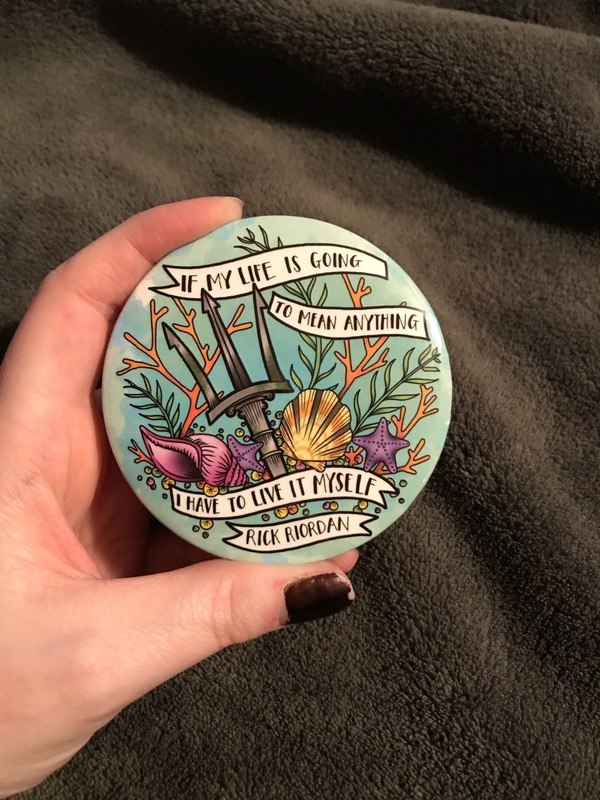 I've mentioned my love of the Percy Jackson series/Greek mythology before, so getting this magnet inspired by that same series was perfect. It was created by Ink & Wonder Designs and it's so pretty. I mean, just look at all those colors! 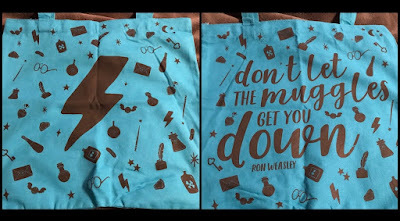 Now, to my favorite item in this box-- a Harry Potter tote! 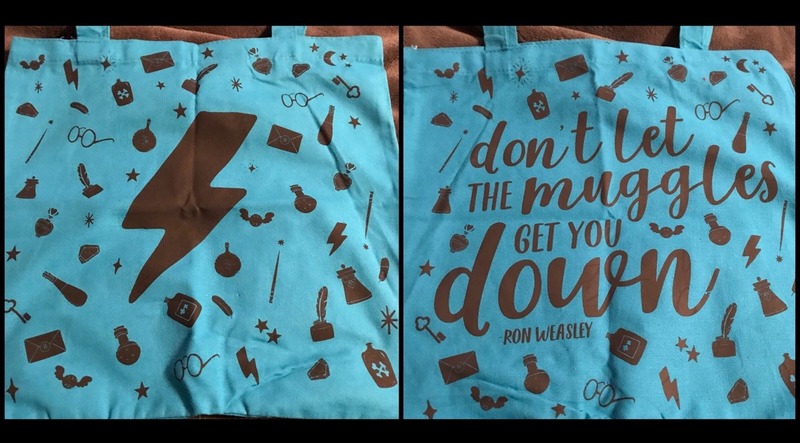 This tote, designed exclusively for Owl Crate by Bookworm Boutique, is so perfect. Not only does it have the cutest deign and quote, but it has extra long handles and a decent size which makes it the best trip-to-the-book-store bag. I kept saying that I wanted to be one of those people who had planners and were super organized, and now I can finally make it happen! 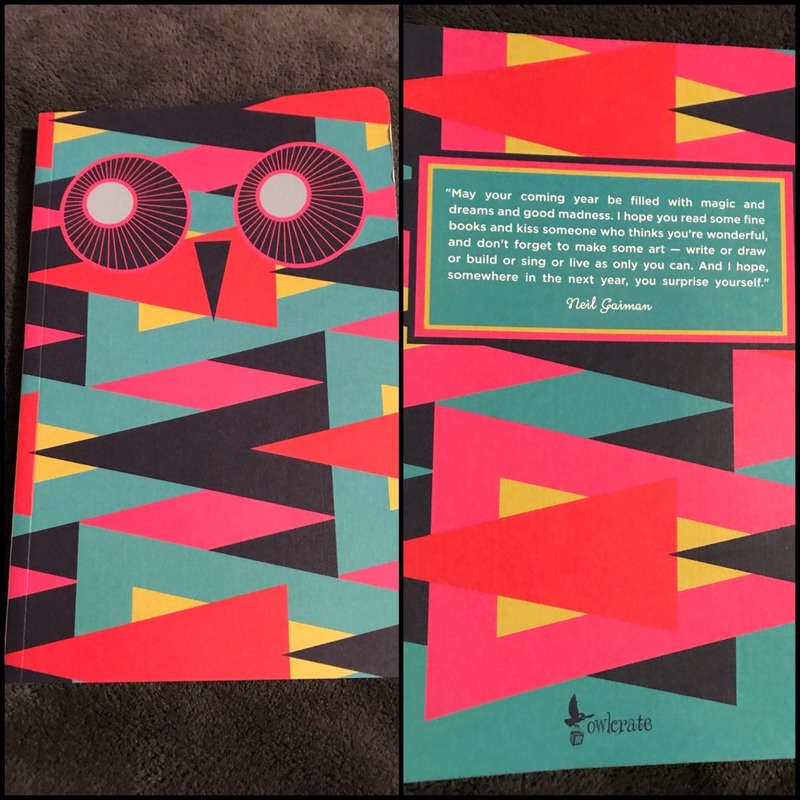 This lovely 2018 planner/reading journal was a partner design between Owl Crate and Blue Star Press, and features quotes from previous Owl Crate book picks, spaces to fill in your favorite books, and even a rating system to keep track of all that you've read so far. I'm excited to use this, I usually keep track of books I've read on little scraps of paper, so it'll be nice to have them all in one place now. 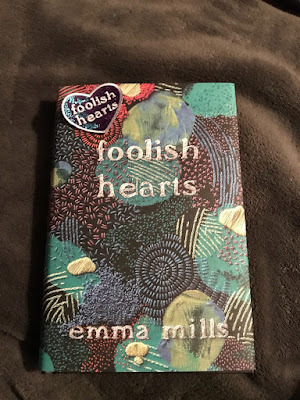 The book for this month is called Foolish Hearts by Emma Mills. When Claudia is caught eavesdropping on a conversation that was only meant for two people, she gains an enemy in Iris, one of the meanest girls in her school. If that wasn't worse enough, the two of them are then forced to participate in the school's production of A Midsummer Night's Dream. The whole story revolves around first loves, finding friends in unlikely places, and learning to step out of ones comfort zone. It all sounds a bit Sarah Dessen-ish to me, and she's one of my favorites, so I feel like this will be right up my alley. It also came with a little patch, and we all know I do love a patch. I hope everyone has a lovely holiday! This is a super cute box! 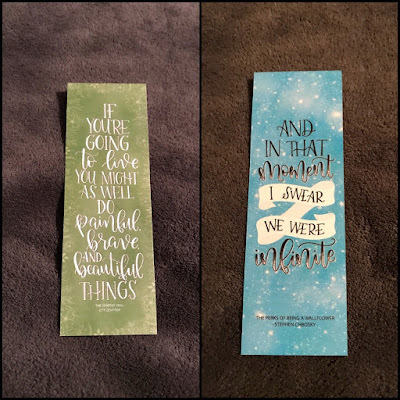 I love the bookmarks. Hope you had a nice holiday and will have a wonderful new year! Owl Crate looks so amazing! If I wasn't a super broke college student I would totally sign up for it! I especially like the bookmarks. Thanks! :] You can even sign up for one box if you just wanted to try it, that's how I first started! I love subscription boxes! That's a great selection of items you got there, I'm not into Harry Potter but great tote bag! and I love the candle!